The language lab is one of the most valuable resources available in the language learning sector. The principle of it is reasonably simple: it is a place where language students can go to engage in speaking and listening practice independently. This basic premise hasn’t changed since the very first language labs were established at the University of Grenoble at the beginning of the twentieth century. However, available technologies have changed hugely during this hundred year period, and as a result of this the logistical reality of the language lab has changed many times over. One of the most significant changes is that this type of learning resource no longer has to be based in a fixed location. 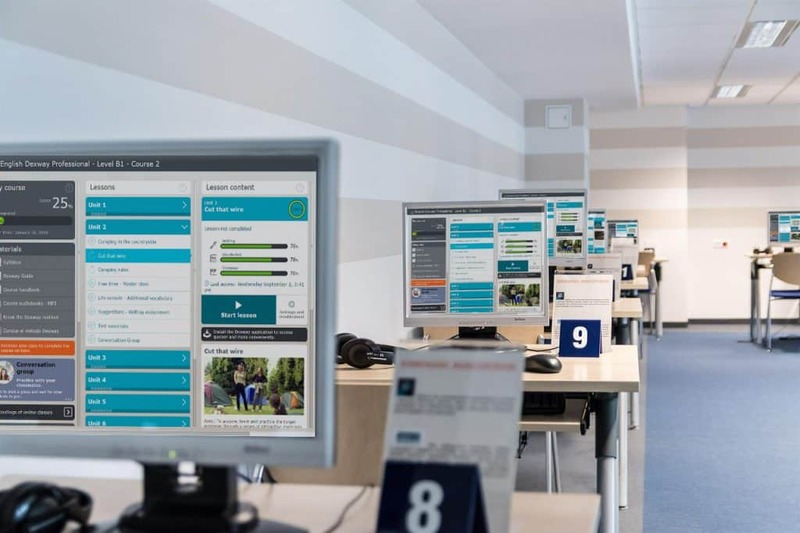 Though many language academies, schools and universities do still provide their learners with a physical space for language lab practice, labs are now also available virtually, particularly for those who are engaged in multimedia courses or study languages online. Virtual language labs have become a mainstay of language multimedia courses. The ability to access language lab resources literally at the touch of a button has been a huge benefit to those learners who study languages online. Online learning and multimedia courses and providers now offer a full range of independent listening and speaking practice activities as part of their software packages, and these generally offer huge value to learners. The great thing about the language lab is that this is an educational resource that has a proven track record for getting results. Any language academics, schools or universities that are finding that their labs are being underused would be wise to consider what they can do to change that. Here are two key suggestions for getting the best from the language lab, whether you’re working with learners who study languages online or offline. One of the major reasons that more and more people are choosing to study languages online is because multimedia courses are generally more flexible. Flexibility is important as it allows learners to better fit their studies around their existing commitments such as other studies, their job, their social life and their family’s needs. Language lab resources that are available any time students want them will help to increase the level of flexibility your course offers, even if your courses are delivered mainly via a traditional in-person classroom model. One of the key factors in ensuring your language lab learning resources are available twenty four seven is to ensure they can be accessed via the cloud. It’s particularly key here to pay attention to how students can administrate this access. The more devices language laboratory software is compatible with, the better. Many students will wish to do their revision using a smartphone or tablet rather than a computer or laptop. In the very first language labs, the language tutor would sit in the room with their students and listen in via a hard wired analogue based tape deck system. They would be able to check up on student progress by tuning into each students’ channel and physically listening and assessing their practise. Assessment and feedback works rather differently within the language lab today. One of the real benefits of this resource is that the language tutor does not need to be present in order for the student to make progress and gain a strong understanding of how well they’re doing. This is particularly key for multimedia courses, as students who study languages online don’t regularly come into contact with their tutor. However, it’s also key for students who attend a face to face language course, as they will need to be able to access the language lab outside of class time. Luckily, modern language laboratories are run using sophisticated software not tape decks! These software packages can provide speaking and listening activities tailored to the educational level of each student. They can also keep track of the students’ progress and report this back to both the student and their teacher. This type of instant feedback is hugely beneficial for both traditional and multimedia courses as it enables students to take more control of their own learning process. It also makes it easier for tutors to keep track of their students, provide progress updates and target future revision sessions. How does your training organisation use language labs? Whether a language academy is offering classroom based or multimedia courses, the language laboratory is a longstanding resource with huge benefits to offer. It’s key for student progress and can help bridge the divide between the choice to study languages online or offline. One of the most effective ways to provide a high quality language lab resources is to do so using industry-leading technology. Why not take a look at how Dexway does language labs?